In this humble, charming and humorous morality tale, Maliyan is a proud eagle who always looks, listens and sees things from a long way away. One day he meets the turkey Wagun, who is a silly bird, and together these two new friends begin to do silly-bird things. The Elders and Maliyan’s parents become very disappointed and soon the local billabong becomes a mess. The silly birds do not care for anyone and seem to have eaten all the food. Maliyan begins to see the error of his ways and tries to talk to Wagun and the other birds about their actions. No one listens. So Maliyan flies away and begins the journey of listening again. Maliyan soon becomes a proud leader and all the silly birds begin to follow his example. They all help clean up the messes they have made. 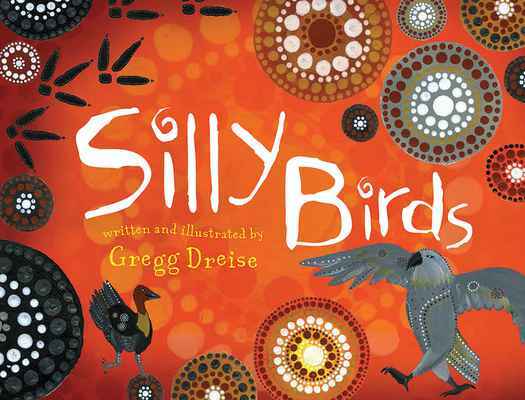 All except one … In this quintessential Australian fable, Silly Birds combines richly textured and striking illustrations of Australian animals with the gentle humour of an Aussie truism that it is hard to soar like an eagle when you are, in fact, surrounded by turkeys.